Three years. Chronic and intense sinusitis. Ear infections. Swollen glands. It’s been three years of headaches so severe that I cannot get out of my bed. Nausea. Vomiting. The joints in my fingers have been hurting so bad that it’s difficult to sleep. My ankles, knees, toes…. hurt. Mind fog so bad that I’m forgetting every day words. Weight gain from out of the blue, and way more than is natural, all around my middle. I’m a Health Coach, with a decade of practice and ongoing education, and really felt like I should not have issues like this. The frustration and feeling of defeat became more frequent as physician upon physician, specialists, functional medicine doctors all came to – no answers. It must be in my choices, I thought. I began to track my foods, to no avail. I was eating clean. I had cut dairy, gluten, and was eating my share of the planets green foods. A few months ago, finally, there was a break through. I had made an appointment with a Naturopathic Doctor and so had been feeling hopeful and was striking conversation with my tribe on social media. 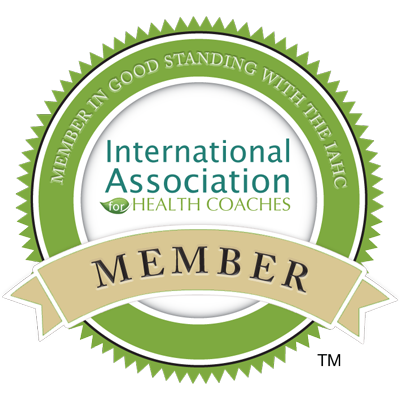 We were talking all about chronic sinusitis as only a Health Coach and her tribe can do, when, I received a private message from a fellow coach who had also been struggling. She visited a Naturopathic doctor near her home and had gotten a handout from him explaining about a surge of sinusitis caused by fungus that actually had taken hold in the sinus membranes. I had a moment where I felt to my core that this is what was happening. Let me fill you in…..
After we left our house on the plains, we lived with my mom and dad a short time while we looked for the right home to buy. Within a week of moving in, I had my first massive, what I thought was, migraine. It knocked me off of my feet. Attributing it to the stress of the move, I figured it would be a one time thing. Most of the time I was at my moms I was sick. I had ongoing nausea, I vomited multiple times and lost many days to the pain of the headaches. After we moved out, the frequency reduced, but would return seemingly randomly and for days at a time. The headaches ruined travel, ruined birthdays, and family weekends. I’ve lost so many days to it that it was beginning to impact my relationships within my family. It was impacting my driving. It was taking my quality of life away from me. I began to sputter out for energy for supporting others (my purpose in this life). When I realized that it was probably mold, I began to share that idea with my family. My mom recalled that a few months after we moved out, they found that their kitchen plumbing had been leaking for what must have been a very long time and that the wall behind the kitchen sink and only a room away from our bedroom was filled with toxic black mold. The took out the wall and had to refinish both the kitchen and main bath on the back side. I had forgotten and never made a connection when she had originally told me. It made sense and validated what I thought was happening. In the past few months, I’ve learned so much about how this invasion of pathogens works and I’ve begun to take my health back. It’s inspired a body of work for me going forward that I will begin to share in the months to come. For now, know that toxic mold is every where. I am on the high desert plains in the middle of the U.S. and I would have never thought we had an issue with this here. But we do and I’m living with it. You might be too. Keep an eye on this blog as I begin to share what I’ve learned and how to manage and overcome this life changing illness.